Platform chunky sneakers have made their way back this spring with wild touch of animal print. Many fashion labels have come up with many varieties of animal print dad sneakers. 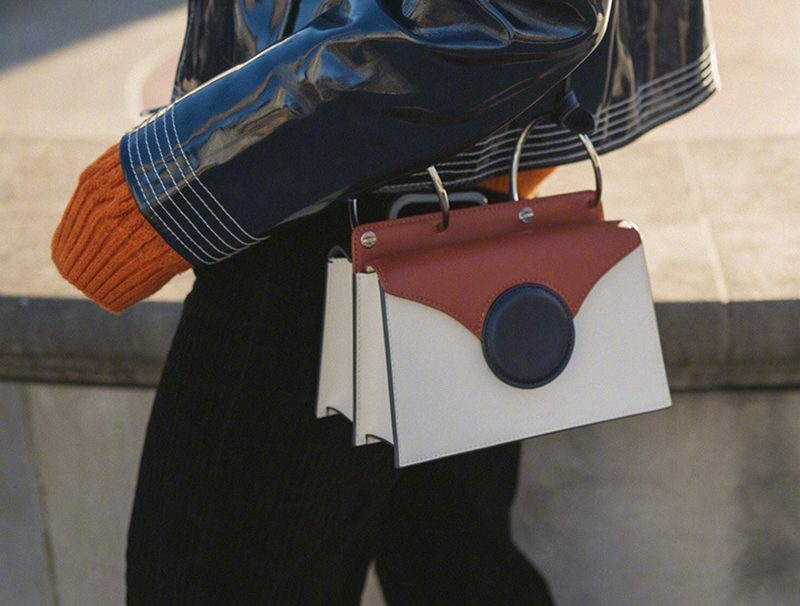 They are so trending for spring 2019 both on the runway and streets. 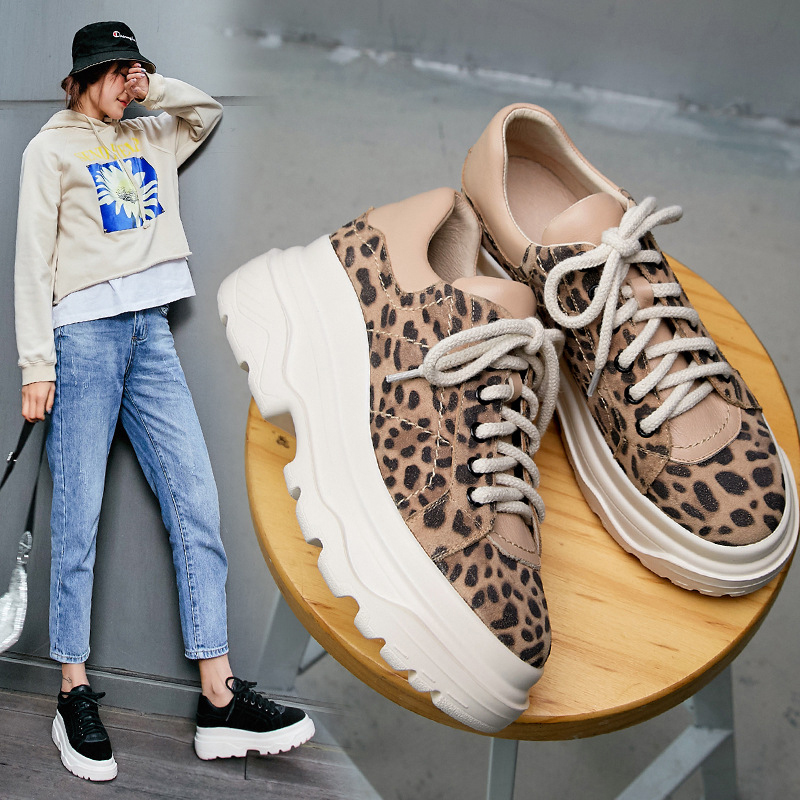 Animal print chunky sneakers are a perfect combination of contemporary and cool kicks. These animal print sneakers have a flat, comfortable rubber sole for extra height. The uppers are crafted with leather while have has featured round toe along with the lace-up front. The architectural sole has a retro, renewed profile with lightweight. 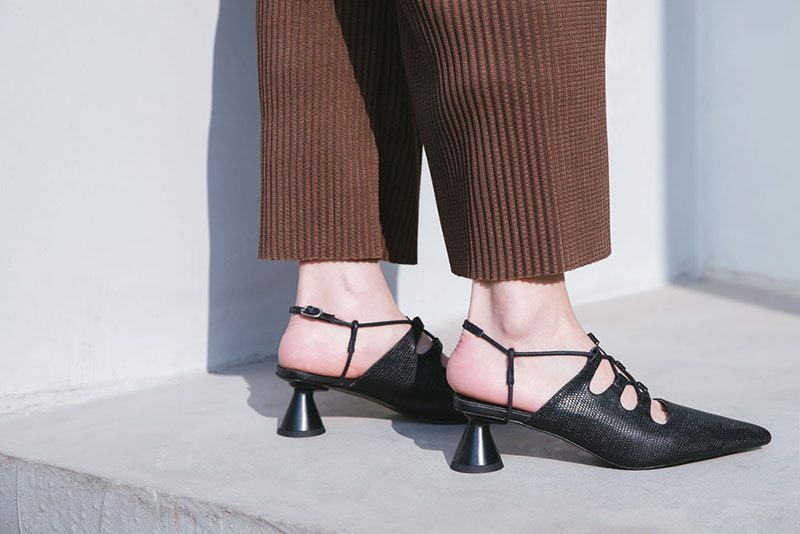 These sneakers work well with all your outfits from day to night. They are perfect for everyday style with laidback easygoing vibe. These chunky sneakers are sports-inspired so they are very comfortable. The wild touch of animal print look ultra feminine and adds a modern twist to all your outfits. Among all the animal print sneakers, leopard print sneakers are most popular. Zebra print flatform sneakers work well for all the outfits with neutral colors. 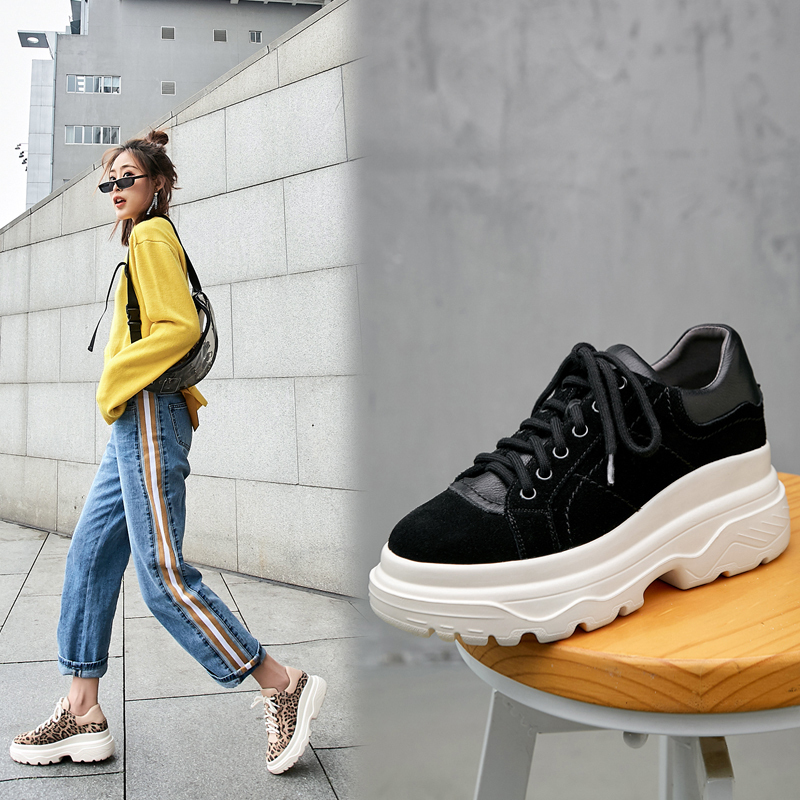 These chunky sneakers give you a bold statement look bringing comfort and energy in each step. The super-stylish tiger-print platform sneakers have a thick sole with a perfect blend of confidence and elegance. 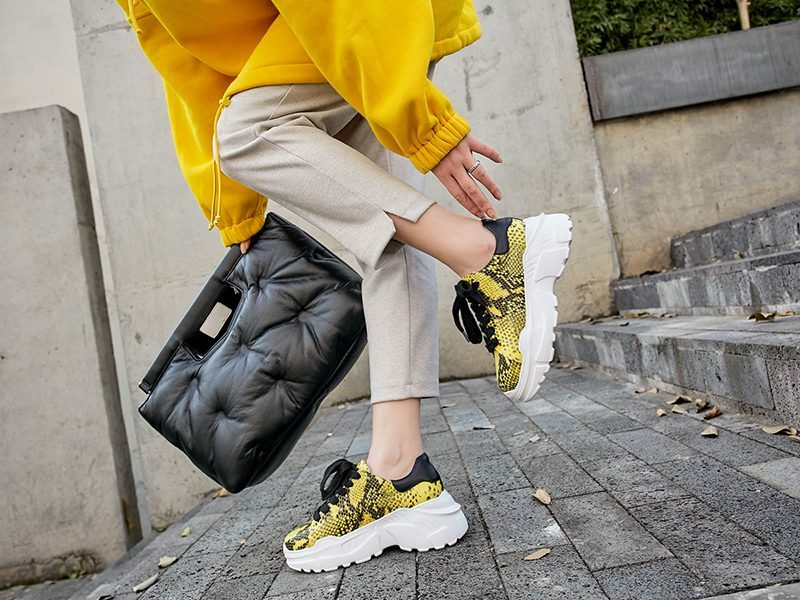 Even though animal print sneakers are very versatile, you need to be very careful while wearing the animal print dad sneakers without being overwhelming on prints. You can wear leopard print shoes with your evening dresses, pant or skirts. Black, neutral colors like cream, blush or others work well with these sneakers. Bright colored animal print platform sneakers are a perfect choice if you want your shoes to stand out amongst the crowd. 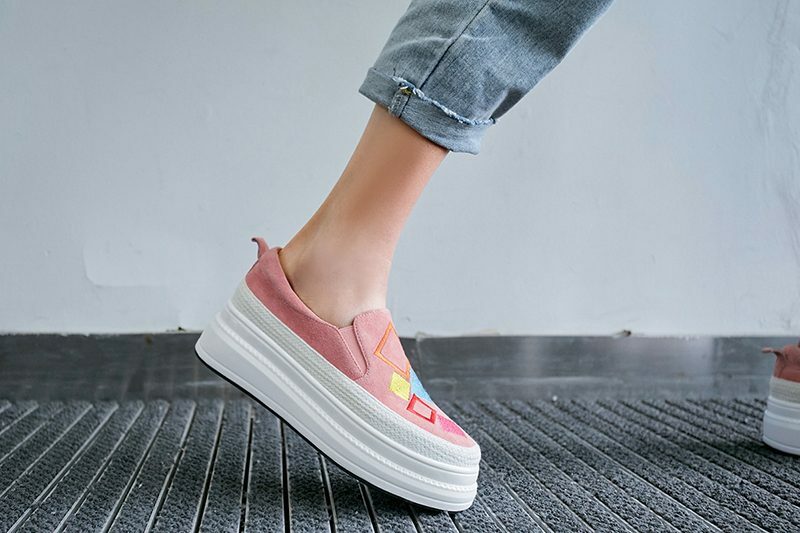 You can match the bright colored flatform sneakers with accent colors, yellow, pink, orange or others. Denim is the most comfortable and perfect choice to pair up with animal print chunky sneakers. It gives you a casual, chic and classic look when paired with a button-down shirt or lean, long tank top. 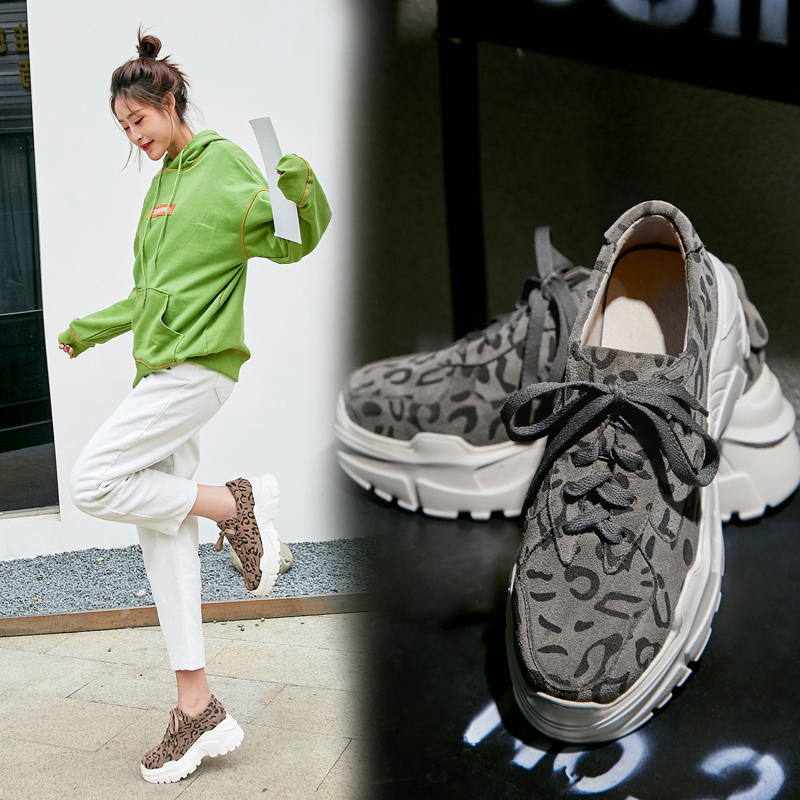 The animal print sneakers are versatile and are trending this season, they have an eye-catching pattern and mixes well with your outfit. The most important tip while wearing the animal print sneakers is to keep the remaining outfit plain without any print over it. 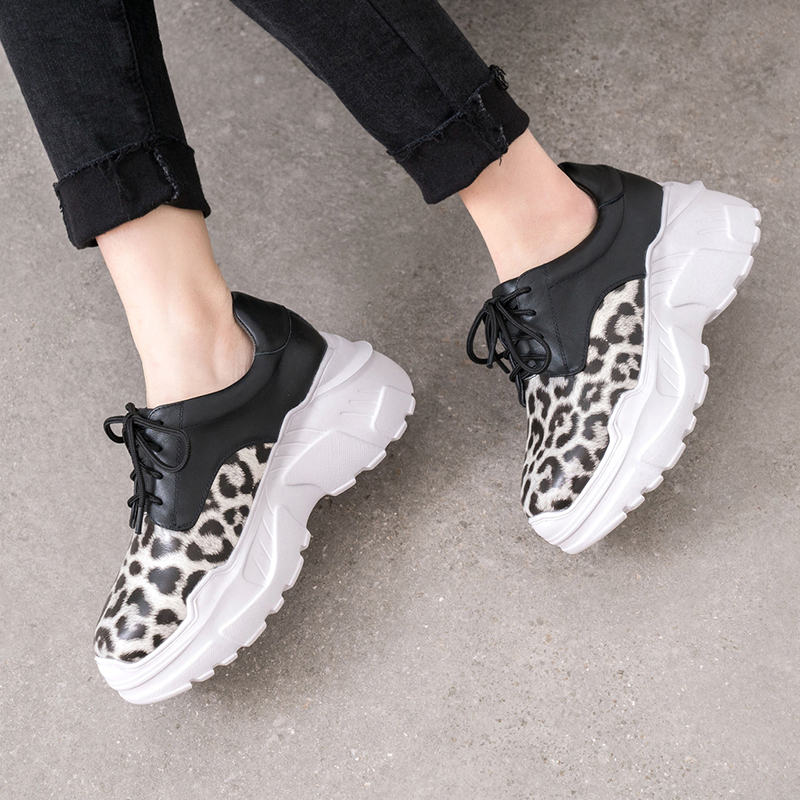 The animal print chunky sneakers go well with your dark outfits and a perfect pair of jeans that works well for the office attire or street chic look.